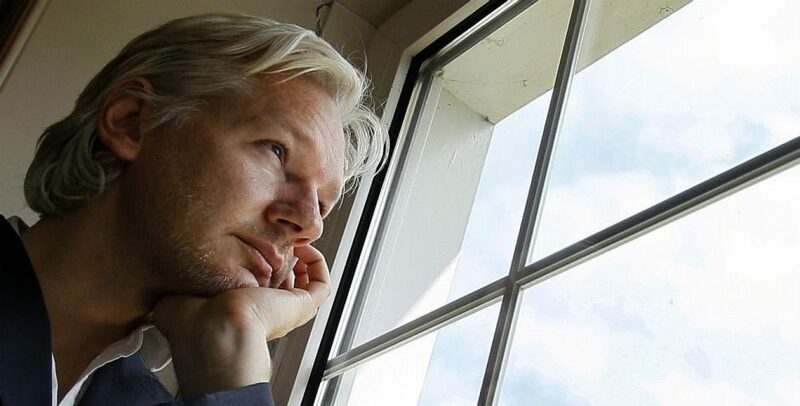 Now that Sweden has dropped all inquiries in the Julian Assange case, how can you arrest him for missing a bail appointment on charges that were never filed? Please take a closer look at your case and the money you are wasting keeping him in the Embassy and release him. Truly, he did nothing wrong. If in fact you are keeping him there to extradite him to the United States, stand up for yourself! Wikileaks published information, they did not steal it or hack the US government to get it. The UN ruling states that keeping Assange in the Embassy is inhumane. Is that really how you want the world to view the UK? Wikileaks has done nothing wrong except publish information that the people of this country needed to know. Our government is controlled by the people, not the other way around. By going after a news organization like Wikileaks, you commit a great crime against the citizens of the United States. Also, if you choose to prosecute Assange and the Wikileaks staff, you must also arrest any news organization that has published any leak over the past 10 years including but not limited to New York Times, Washington Post and CNN. I ask that the United Kingdom and the United States drop this mess and release Assange to continue to publish and edit Wikileaks that he might once again be free. It is only right that he see his children and family again and feel the sun on his face. Even criminals in prison are allowed to go outside and exercise freely in the prison yards. By violating his human rights you violate the Universal Declaration of Human Rights which was put in place on December 10, 1948. By allowing Assange and his staff to be free once again, you do a great service to the people of our countries and the world. I could go on and on talking about this particular subject, but I am going to try to just stick to the basic facts. Wikileaks informs the public. Most governments, whether its the US or not, hide things from the general public. Basically, the Shadow government does things that are illegal. A leaker such as Snowden, brings these crimes to light. Many consider these leakers to be traitors or spies, but in certain cases, they see something wrong going on and report it. Watergate is a good example. You had a leaker who talked to a journalist who exposed what was going on. Wikileaks is against war crimes. In 2010, Wikileaks and Julian Assange exposed the US government in Afghanistan. They were killing citizens and other heinous acts. Sometimes, war cannot be helped, but shooting sprees on citizens is wrong. Do you dislike Hillary Clinton? Why? Wikileaks exposed her criminal activities as well as John Podesta and #Pizzagate. Also we learned about #spiritcooking this way. Do you support pedophilia? Wikileaks also brought to light the fact that Hillary and Obama created ISIS and armed them. This again is criminal activity by government officials. This enables the public to see the truth and to get rid of the problem. As individuals, we can educate ourselves by researching these items on the web, which leads to us not being ignorant. Wikileaks has never been proven wrong in 10 years. This a fact. Wikileaks has been attacked and Assange put in prison for exposing the truth. Sweden made up lies about two fake rapes and Britian arrested him. Basically, they were considering expediting to the US to stand trial for “TELLING THE TRUTH”. Julian is only the messenger. In fact, Edward Snowden was just a leaker who saw that the government was spying on it’s own citizens. Now he is in asylum in Russia. For the past 5 years, Assange has had to seek political asylum to avoid possible torture or death in the United States. Some say the US wouldn’t torture him, but Wikileaks exposed the US torturing Manning, so why wouldn’t they torture Assange to get names of leakers? Julian and Wikileaks are not rich. His huge legal fees has depleted any savings he had and if released, he would rely on us ot support him and his work. In essence, everything Wikileaks has done in the past and will do in the future relies on our donations to the cause. Please if you can afford to, go to justice4assange.com and donate. Or go to wikileaks.org and buy a t-shirt or book from their shop.